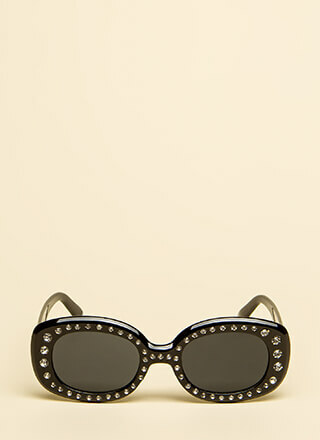 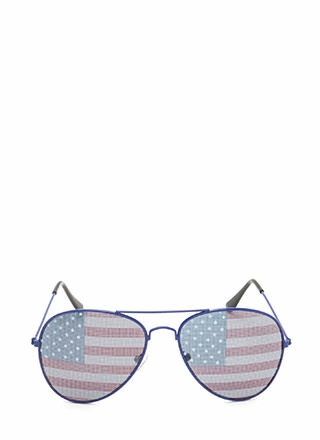 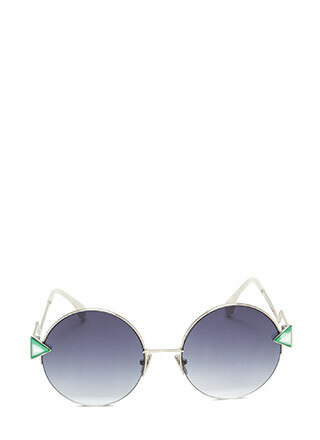 Your future is so bright you're gonna need blinders... 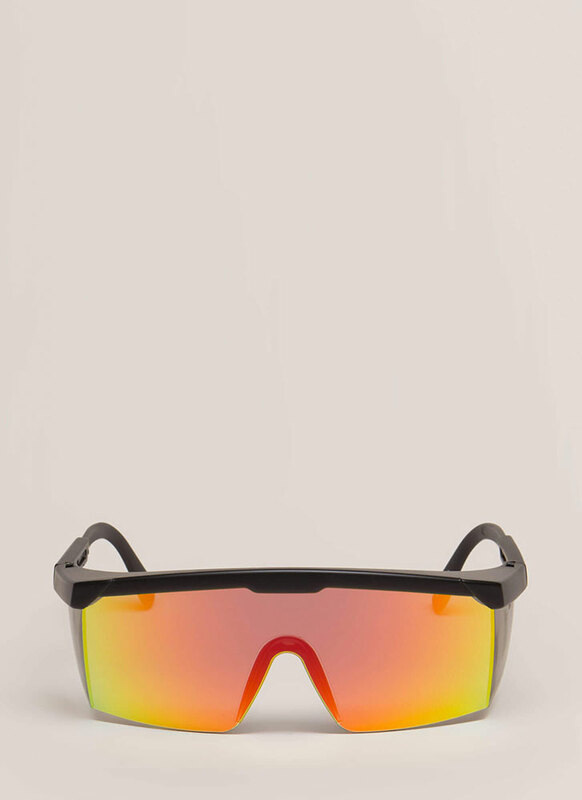 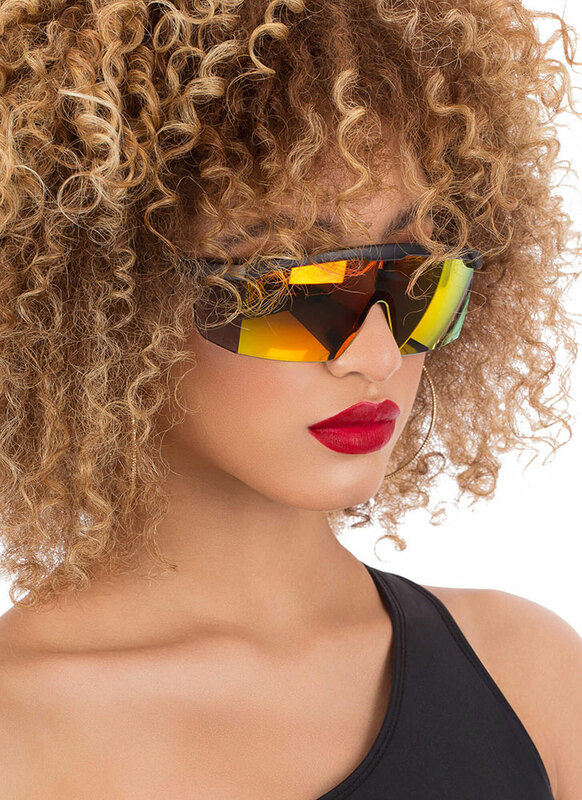 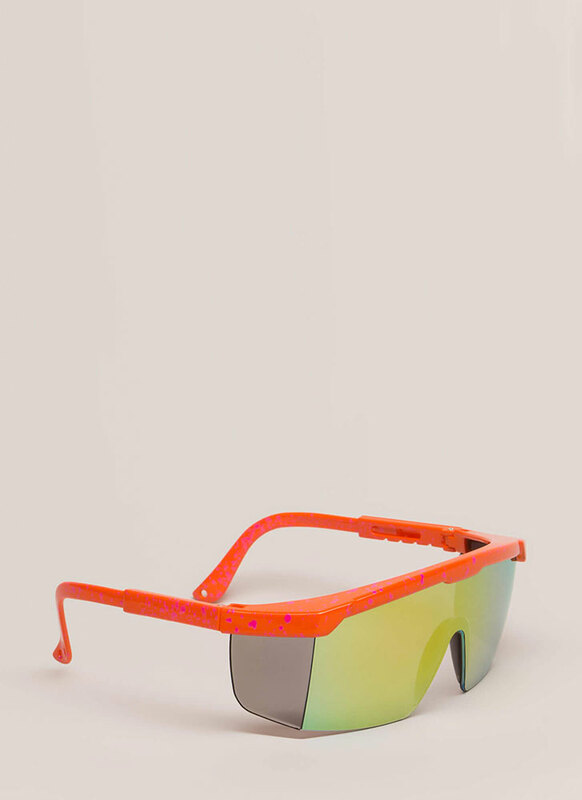 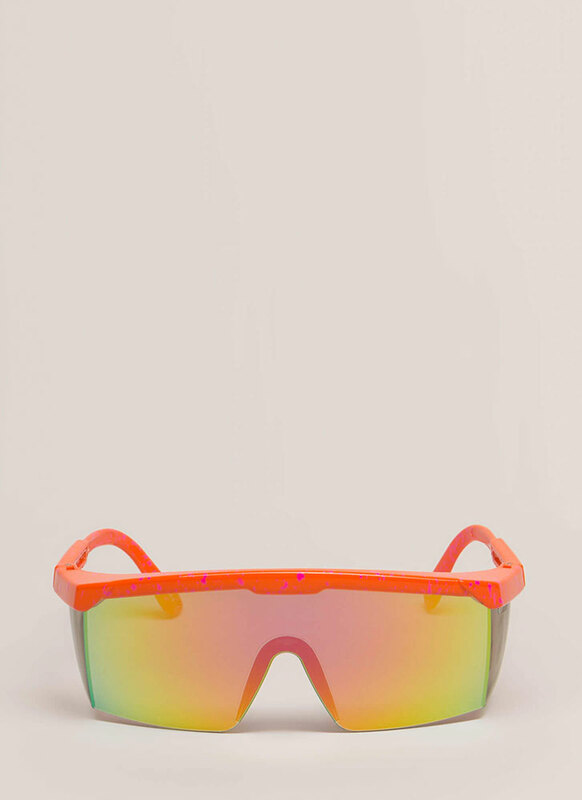 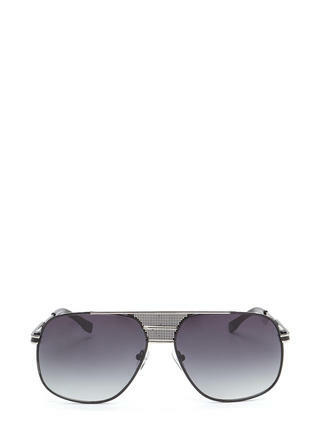 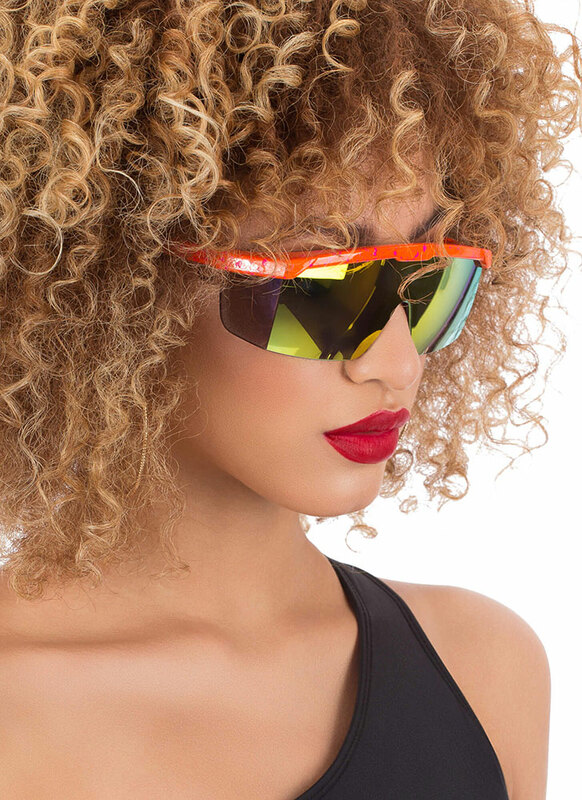 Shiny, sporty, frameless goggle sunglasses feature a reflective, holographic, one-piece lens with a nose cut-out, a solid top bar, and blinder-like pieces on the sides for a curved silhouette. 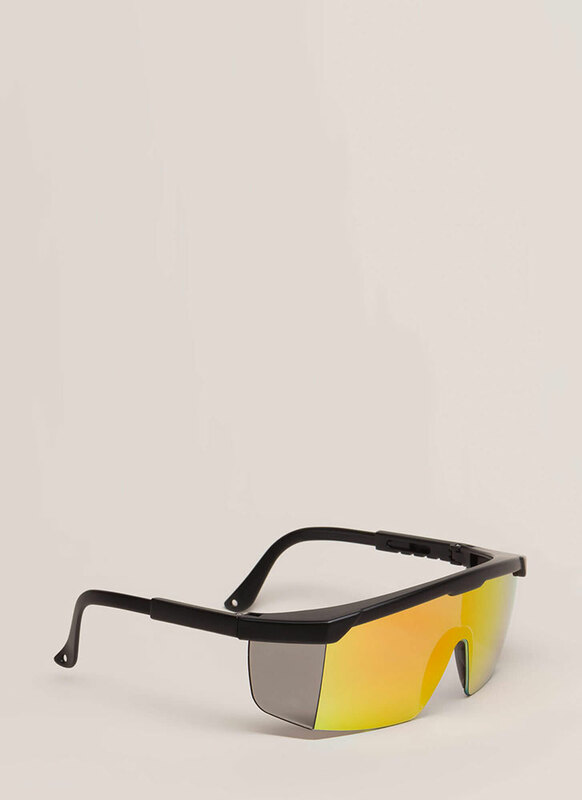 Height of frame: 2.25", Width: 6"
Height of lens: 2", Width: 5.25"